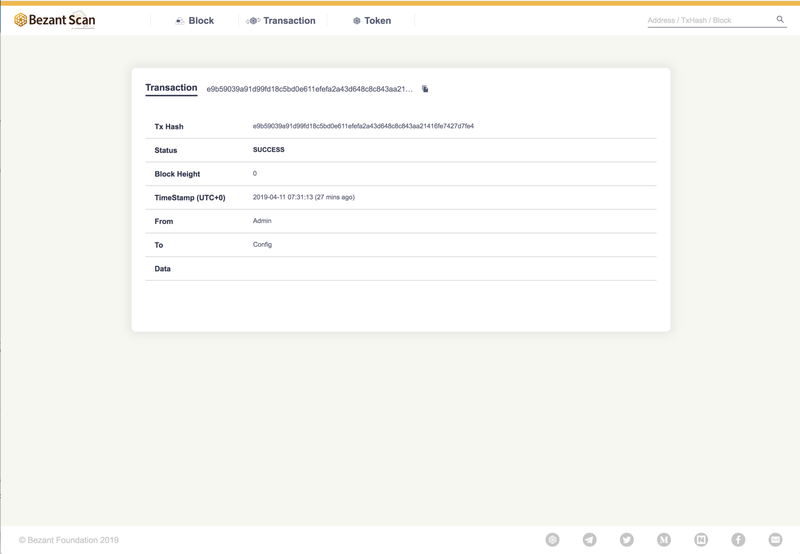 We are thrilled to announce that on April 11th, 2019 (07:31:13) UTC +0, we have successfully generated our Genesis Block for Bezantium. After completing various maintenance tests of our testnet since January, we have successfully released our mainnet. After our successful Token Distribution event last year, today marks an exciting milestone as Bezantium is now live. Our team has worked around the clock to make blockchain technology simple for enterprises. With our slogan “Blockchain Made Simple,” as the core focus of our platform, developers would be able to easily use blockchain and eventually bring down the barriers of entry to this blockchain ecosystem. We aim to expand the Dapp ecosystem by collaborating with our partners in various industries. Again, we would like to thank our community for all the support and encouragement you have given us during this journey. For partners who are interested in onboarding to Bezantium, please make sure to contact us through partners@bezant.io. We hope to bring you more good news in the near future.